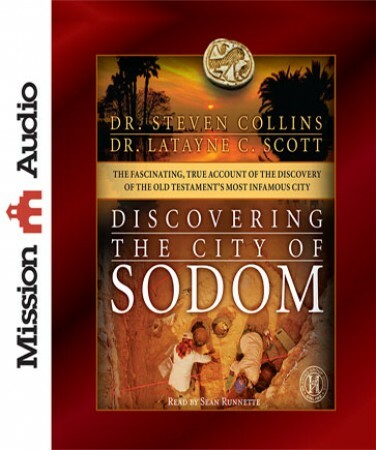 Similar to many Christians, I have wondered where the city of Sodom was located. Since according to the Bible, the city was completely destroyed, I wasn’t sure that this city would ever be discovered. I have heard and/or read that the city was south of the Dead Sea and pretty much left it at that. Also, as a PhD scientist, I am a firm believer in authentication of Biblical historical accounts as a help in witnessing to non-believers in the scientific community who believe in evolution without testable evidence but are skeptical about the Bible. I once heard from a scientist who has spoken and written about science and the Bible that as science progresses, it is amazing that more and more Biblical accounts are proving to be true and accurate. The work of Dr. Collins in uncovering artifacts which support his three tests of correct place, correct time and correct stuff (artifacts) has convinced me that he has indeed found the destroyed cities of the plain, Sodom, Gomorrah and associated cities. The book is written in a step-wise scientific way which is convincing to those of us with scientific backgrounds. The logic which Dr. Collins uses to establish his findings is without flaw in my opinion. My only hesitation about recommending the audio version of the book is the lack of figures and maps. Many audio books which depend on visual data such as figures and maps provide these materials as a supplement to the audio book so you can look at them while listening to the book. Even if such materials were provided, they would be difficult to use while driving. I was able to see some of the materials by searching the book on Amazon but an online supplement would be very helpful. Sean Runnette does a very good job of narrating the book. I was given a free audio version of this book for my agreement to review it but this has not influenced my personal impressions of the book.